Amazon Elastic Compute Cloud (Amazon EC2) is a core component of Amazon Web Services. It allows users to rent virtual computers to run computer applications, as a virtual private server. 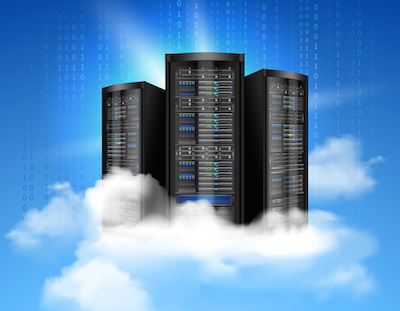 Virtual private servers are very similar in functionality to dedicated physical servers. However, they are more cost efficient and can be booted in minutes rather than having to purchase, install, and deploy a physical server rack. A virtual private server runs its own copy of an operating system, has enterprise level security controls, and gives users complete access and control. EC2 provides users with scalable, on-demand compute and processing power for businesses of all sizes. Users have complete administrative control over their virtual servers (also known as compute instances) with Amazon EC2. Essentially, Amazon EC2 provides the same level of access and control as a physical server operated locally in the office. Compute instances are easily managed through the Amazon EC2 web interface which allows users to scale up or down, boot instances, and configure processor settings with a few clicks of a mouse. Additionally, virtual servers on EC2 can be managed automatically via an application program interface (API) that can be set up by downloading a software development kit (SDK) from AWS in a choice of programming languages. When you launch an instance in EC2, you get the ability to run an operating system of your choice. Users can select from multiple Linux distributions or they can run Microsoft Windows Server. This is an important feature for most businesses, especially for those considering making a switch to the cloud. If a company has used Windows Server for years and has built applications, databases, and storage units within the Windows Server framework, they shouldn’t have to reprogram their IT infrastructure in the cloud to run on a different platform. As users can select the operating system of their choice, migrating to an EC2 instance is accomplished much more easily. EC2 has multiple built-in security features. When you launch an instance, it is run in a virtual private cloud that is a logically isolated network. Users have complete control over who can access the instances in the cloud. Amazon EC2 has security groups that act as virtual firewalls to control traffic to one or multiple instances. Users can establish rules to each security group and modify rules at any time. If a company decides to keep some processes running on premise and they want to connect their virtual private clouds to the physical hardware on-site, they can establish a seamless connection through a hardware VPN device. Looking for assistance in launching your first Amazon EC2 instance? Privo IT can provide you with expert guidance and assistance with launching cloud instances through Amazon Web Services and Amazon EC2. Reach out for a free consultation!